Academic Year: An "academic year" at Oregon State University is made up of 3, 10-week ”quarters“ and the summer session. The academic year technically begins with the first day of summer term and concludes with spring commencement and the end of spring term. 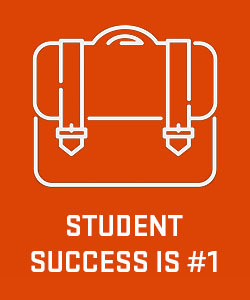 However, the vast majority of students begin attending Oregon State in the fall quarter. The summer session period extends from the day after graduation of each spring quarter through the last day prior to fall semester. Note: Oregon State admits new students into all academic terms (Fall, Winter, Spring & Summer). Those students who choose to begin their academic career during a Summer Term are counted as part of the fall class for that year. Accreditation: Colleges and universities and high schools must meet certain state or national requirements for academic programs, teaching and facilities to be certified by accrediting agencies. Oregon State University is regionally accredited by the Northwest Association of Schools and Colleges. Oregon State will only accept credits for transfer from other regionally accredited colleges or universities and will not accept credits earned at nationally accredited or unaccredited institutions. ACT: All first year students who apply to Oregon State are required to submit their ACT or SAT scores. Oregon State does not have a preference which test a student takes nor is there a minimum test score requirement. The ”optional“ writing section on the ACT is not required for admission to Oregon State. Note: Scores must be sent directly from the testing agency in order to be considered. Advanced Standing Report: All college-level work from appropriately accredited institutions is evaluated to determine whether the course will be accepted as course credit at Oregon State and whether the course satisfies any other General Education Curriculum. The official evaluation is called the Advanced Standing Report and is accessible electronically by the student and their advisor. 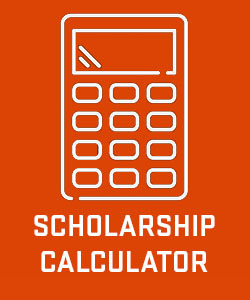 Advance Tuition Deposit (ATD): Students who have been admitted and who have decided to attend Oregon State must submit a $200 payment by May 1 to secure their spot in the entering class. The deposit is non-refundable after May 1 and is applied towards your first term of tuition at Oregon State in the Fall. AP: Advanced Placement. Oregon State evaluates Advanced Payment exam scores and articulates those scores for possible course credit, usually within the General Education Curriculum. Refer to the Credit Opportunities page to see minimum score requirements. Baccalaureate Core: The University’s general education requirements. The Baccalaureate Core (Bacc Core) Curriculum represents what the Oregon State faculty believes is the foundation for students’ further understanding of the modern world. Informed by natural and social sciences, arts, and humanities, the Bacc Core requires students to think critically and creatively, and to synthesize ideas and information when evaluating major societal issues. Importantly, the Bacc Core promotes understanding of interrelationships among disciplines in order to increase students’ capacities as ethical citizens of an ever-changing world. The Oregon State University Baccalaureate Core is continually enriched. It emphasizes critical thinking, writing, world cultures, appreciation of differences, the arts, sciences, literature, lifelong fitness, and global awareness in 15 course categories. Over 250 courses are available to meet core requirements. Students must complete a total of 48 credits plus a Writing Intensive Course (WIC) of at least 3 credits. CLEP: College Level Examination Program. CLEP is a series of tests for introductory college subjects that allow individuals to earn college credit for what they already know regardless of how that knowledge was acquired. Read about qualifying scores. Cost of Attendance: The cost of attendance is the average costs for a student‘s educational expenses for the year. This is the estimated total cost for the year includes: tuition, fees, room, board and personal spending. Credit: A college or university measures a student’s progress toward a degree or certificate. Each credit hour is roughly equivalent to one hour of class time per week. 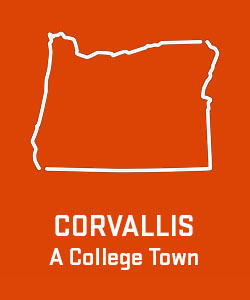 For example, in order to obtain a bachelor degree at Oregon State, a student must have successfully completed at least 180 credit hours. Decision: Determination of an applicant‘s admission status. Admit- Offered a space (for a particular term) as a student at Oregon State. Student must continue to meet eligibility requirements as presented by the Office of Admissions. Defer- Decision is deferred for more academic information, usually another semester/quarter of grades. Deny- Not eligible for admission to Oregon State given the current applicant pool. Rescind- Administrative withdrawal of an applicant who, as determined by the Office of Admissions, does not continue to meet eligibility requirements or standards. Degree Partnership Program (formerly called Dual Enrollment): Simultaneous enrollment at Oregon State and another Oregon or Hawaii Community College. Extended Admissions: Any applicant who does not satisfy the minimum requirements or alternatives for admission consideration may petition to the Undergraduate Admissions Committee (UAC) for an exception. Extended admission decisions will be determined by the Undergraduate Admissions Committee and are subject to Oregon University System guidelines for special admissions. Participation in the extended admission process does not guarantee admission. Each petition is assessed on an individual basis. Visit our Extended Admissions website to determine what must be submitted for consideration. FAFSA: Free Application for Federal Student Aid at www.fafsa.ed.gov. Oregon State‘s priority consideration deadline is February 28th. GED: General Education Diploma - an alternative to completing a high school diploma. Applicants admitted on the basis of GED scores are not required to submit SAT or ACT scores. Learn more about alternative admissions for graduates of non-standard or unaccredited high schools or home-schooled students. Holistic Review Process: The admissions process consists of a fair and comprehensive review of all applicants to determine potential success at Oregon State University. It is crucial for applicants to carefully complete the application process by providing thorough information. Estimating the likelihood of admission is very difficult without considering the complete application file. Admission assessment will consider all achievements, both academic and non-academic, to enroll students with a broad range of characteristics and perspectives. Considerations include, but are not limited to: academic achievement, creativity, initiative, motivation, leadership, persistence, service to others, intellectual curiosity, exceptional personal or academic recognition, unusual talent or ability, substantial experience with other cultures, and ability to overcome significant challenges. IB: International Baccalaureate. The International Baccalaureate Organization’s Diploma Program is a demanding two year, pre-university course of study that leads to examinations. It is designed for highly motivated secondary school students aged 16 to 19. Similar to Advanced Placement ("AP") examinations, students enrolled in the International Baccalaureate ("IB") Diploma Program earn credit hours or advanced placement in college courses. IB grade reports are automatically sent in July to students, their participating high schools, and the colleges they designated when they took the exams. Students earning the full I.B. Diploma with a minimum composite score of 30 or higher will be awarded sophomore status and will receive at least a $3000 scholarship, renewable for up to 4 years. See our I.B. Credit Articulation page ffor minimum score requirements. Test scores must be submitted to Oregon State through official transcripts provided by the International Baccalaureate Organization. Insight Resume: Required as a part of the application for admissions, the Insight Resume helps the Office of Admissions better understand the contributions, qualifications, and talents of our students beyond test scores and high school grades. Students are asked to share their experience(s) in the areas of leadership and group contributions, knowledge in a field/creativity, dealing with adversity, community service, handling systemic challenges, and goals/task commitment. Scholarships: University level scholarships that are awarded based on academic and/or extracurricular merit or a combination of Merit and Need. Students are not required to pay back these awards. Read more about scholarships. The priority deadline to apply for scholarships is February 1. Need Based Financial Aid: Financial aid that is awarded based on demonstrated financial need as determined by the FAFSA and any additional verification materials requested by the Office of Financial Aid & Scholarships. Non-Degree Seeking Student: Non-degree enrollment status is designed for students who wish to take courses but do not plan to pursue a degree. Non-degree students do not qualify for financial aid. Non-degree students are part-time students and are expected to enroll in no more than eight credits per term. If enrolling in more than eight credits per term, a non-degree student will be charged tuition fees as fully admitted student. Non-degree enrollment status does not require a formal admission process or formal entrance requirements. There is a $30 non-refundable application fee. Enrollment as a non-degree student does not guarantee regular admission to the University. Official Transcript: Official record of high school and/or college courses and grades that must be received in a sealed envelope. All applications require official transcripts such as high school transcripts,and any college or university transcripts a student attempted or complete course work at. Orientation: All newly admitted freshmen and transfer incoming students attend two phases of orientation, one in the summer (START) and one in the fall shortly before classes begin (CONNECT). 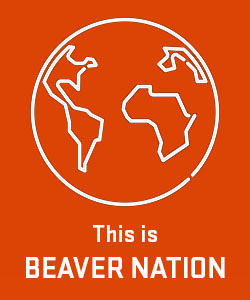 More information about orientation may be found at http://oregonstate.edu/newstudents/. Term Orientation is also available for new Oregon State students starting in Winter and Spring term. Priority Admissions Deadline: To be considered for Oregon State merit based awards, students must submit their application online by February 1. SAT: Scholastic Aptitude Test. All first year students who apply to Oregon State are required to submit their ACT or SAT scores.Oregon State does not have a preference which test a student takes nor is there a minimum test score requirement. Note: Scores must be sent directly from the testing agency in order to be considered.